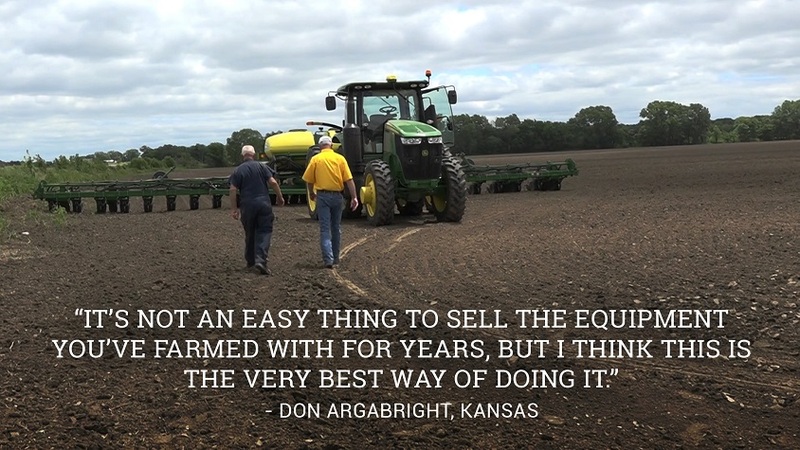 Your experience in buying and selling with BigIron is our top priority. We pride ourselves on consistently exceeding customer expectations with our huge equipment selection, large buyer base, and no-hassle process. On behalf of Farm Credit Services of America and our Special Accounts team, I’d like to express our satisfaction with the BigIron online auctions. From the very first item we placed, we have been pleasantly surprised by the prices we have been seeing on our equipment. The process is simple and user-friendly. Your field reps and territory managers provide thorough inspection reports and photos of the equipment so that the representation is as accurate as possible. Response is quick and the site is very easy to navigate once the items are listed. Settlement is timely and detailed, and your commission structure is straightforward and reasonable. We plan to continue utilizing BigIron for the disposition of acquired property and look forward to your continued expansion into other parts of the country. It’s my great pleasure to write this letter. Last year, we had a terrific experience selling our equipment on BigIron. While I’m sure our experience benefited from your reputation, advertising and online auction expertise, I know without a doubt that we wouldn’t have enjoyed the success we did without our BigIron Manager, Steve Keetle. Lyle and I are absentee owners/managers of Geranium Ltd. Partnership. In the fall of 2010, we suffered through a poor dispersion sale of our cow herd. That experience left us gun shy as we started to plan for an equipment sale. Knowing that logistically we wouldn’t be able to show equipment ourselves only served to exasperate that sense of uneasiness. Steve understood our reservations and went above and beyond the call of duty to show equipment, answer questions and coordinate post sale activities. He is a real testament to the professionalism at BigIron, and I can’t thank him enough for all the support he’s given us this past year. We trust that you, too, appreciate the dedication of employees like Steve. I want thank you and your entire staff for doing an excellent job with the recent BigIron auction. It is always a little nerve-racking putting 37 pieces of farm equipment on an absolute internet auction, especially when some of those pieces are high dollar pieces. We had over $750,000 in inventory that went on auction and we, for the most part, received 100% of our dollars back. I felt that was outstanding and we will look forward to continuing to monitor our inventory and use BigIron as a way of keeping our inventory in check. In fact, we will be putting equipment on your January auction. Want to tell us about your BigIron experience? Click here to send us your testimonial.